The locomotive history of the EWJR is dependent on a lot of deduction, interpolation and extrapolation, although luckily this has been done already, mostly by Richard Allen who provided the information for the revised edition of J. M. Dunn’s Oakwood Press book. Dunn and Jordan tie up with historical sources, such as photographs and Beyer, Peacock drawings, whereas Riley and Simpson have some deviations from these, but do provide other information such as liveries. Like a lot of minor railways, locomotives were ordered but could not be paid for as the costs of constructing the railway were woefully underestimated, and of course “raising the necessary” was a perennial problem for the EWJR. Be that as it may, there are some clear facts, and some slightly murkier facts which can be reported. There is a photo of a small Manning, Wardle loco arriving at Kineton, claimed to be of the first train. The engine concerned belonged to T.R. Crampton, the contractor and a shareholder of the railway. The loco seems to have popped up regularly, eventually being taken into stock cira 1895 and was the fourth and last engine to carry the number 1 – ironic consider it was the first to run. It was rebuilt about then, and reputedly withdrawn in 1908, and then sold on to become Morous under Col. Stephen’s ownership. If it was withdrawn in 1908, the photo below can be dated as being no later than that year. The track alignments (from the orientation of the loco behind) suggest this is the original arrangement and location of the turntable at Stratford, altered in 1908. In fact, another photograph, in the late Arthur Jordan’s book, has the locos in the same position but taken at a different angle, identifying the engine as number 15, which was delivered in November 1904. The picture was probably taken between 1905 and 1908, then. To start the services in 1873, three 2-4-0 tank locos (numbered 4-6) for passenger work and three 0-6-0 tender locos (numbered 1-3) for freight work were ordered from Beyer, Peacock of Manchester. These were completed in February 1873, but there is no evidence that they were actually delivered. In May 1875, they were purchased by the Lancs and Yorks. Both were based on designs for Sewdish customers, the tanks being similar to Wroxall on the Isle of Wight Railway – these were in all probability stock designs for the period on the part of Beyer, Peacock. Two old French locomotives, probably of the Buddicom/Allen/Crewe type were either hired or purchased from Thomas Brassey. Ceres was a 2-4-0 and La Savoie an 0-6-0. Ceres was worn out by 1880 and scrapped at Stratford, La Savoie became a saddle tank and moved on to Birkenhead for Brassey, being sold 5 years later to the Bute Trustees and was finally scrapped in 1908 as Cardiff Railway no. 22. The next step was to hire locos from I.W. Boulton, amongst which was a George England 2-4-0 ex-SDJR, and a couple of 0-6-0 saddle tanks. These were followed by the most extraordinary pair of engines: an 0-6-6-0T double Fairlie and an 0-4-4T single fairlie, the latter albeit briefly and reputedly was the same as that which ran on the Swindon, Marlborough and Andover Railway. 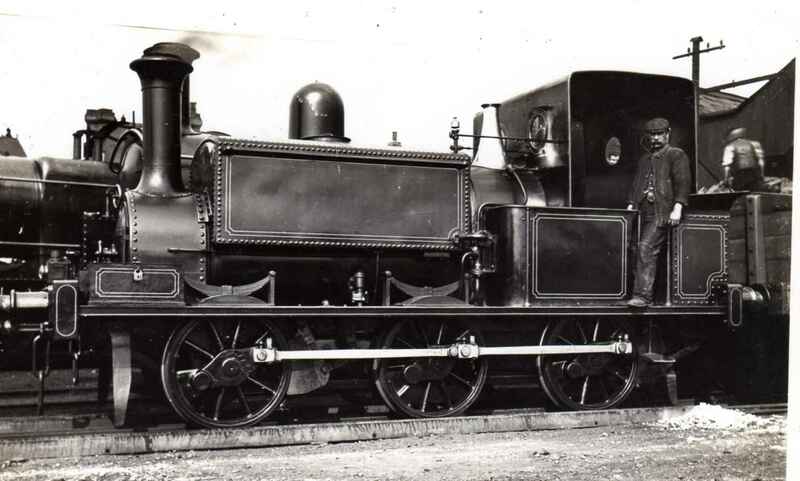 The 0-6-6-0T was the first loco used on a British railway to have Walschearts valve gear – it predated the 0-4-4T by two years – and was amongst the most powerful engines in the world at the time! It was built for use in Mexico, but the full order was not taken up. 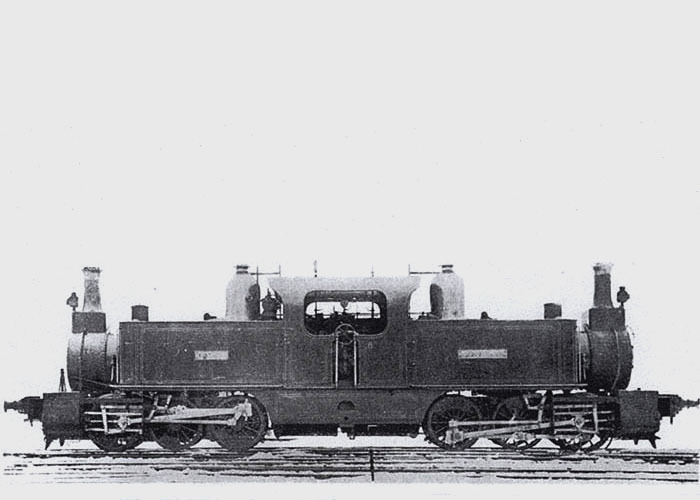 Finally, in 1879 the EWJR was in a position to start buying new engines, and bought an 0-6-0ST from Beyer, Peacock. It was put to work on the line from Stratford to Broom, its low water capacity precluded its use anywhere else on the line. It was based on a design first supplied to the Crewe Coal and Iron Co., and was very similar to the LSWR tank locos ascribed to Beattie. It was sold in 1890 to the Rother Vale Collieries Co., eventually passing into the hands of the NCB, and was not scrapped until 1959 – bearing the number 0. It is a shame that the preservation movement had not really got going at the time: it would have made an interesting historical item, and was the last EWJR loco in steam by nearly 30 years! 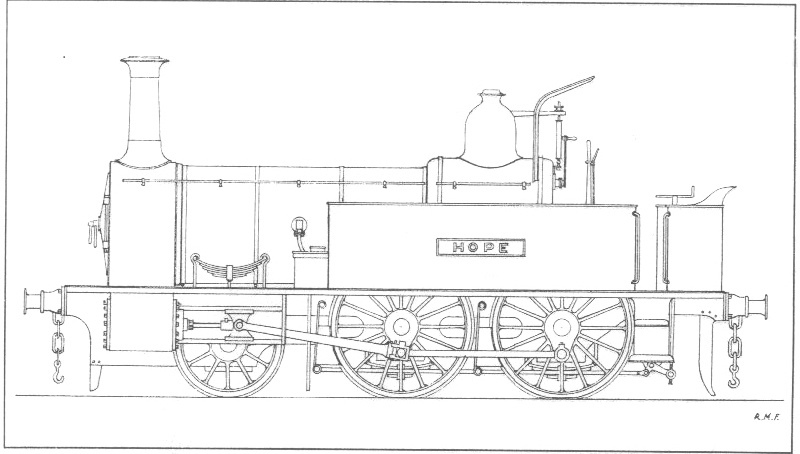 To complete the early years there is “Hope”, the Yorkshire Engine Co. 2-4-0T. This little loco had a lower water capacity than the saddle tank, which it replaced on the roster and became yet another number 1! It was used again between Stratford and Broom, and was sold on to the Cannock and Rugely Colliery via a dealer. 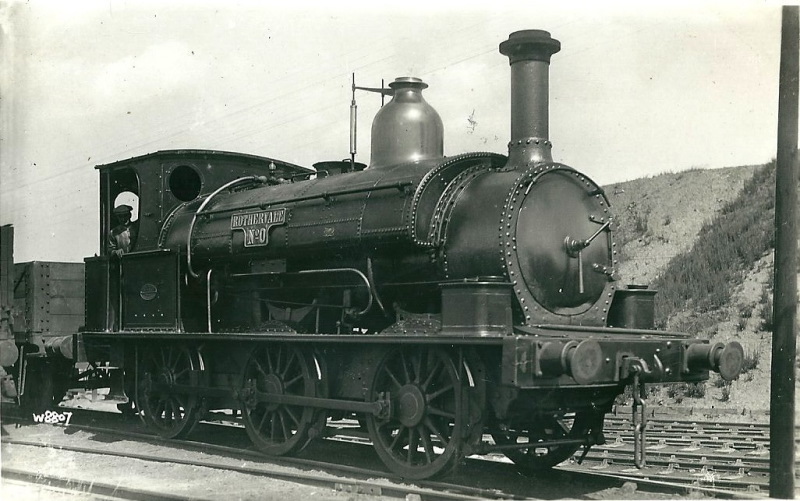 It was rebuilt into an 0-6-0T in 1916, and – named Harrison – lasted until 1955 on the NCB. Move on to Number 2.